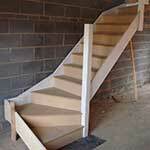 Ever thought of having a new staircase but didn’t want the hassle, well now you can. Make your old staircase the focal point of your home. 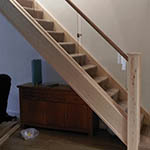 We now offer a stair renovation service with endless options from oak to contemporary glass finishes. We discuss in detail with every customer all options available to meet different styles and budgets, which makes each project bespoke. Examples of previous projects are available on our website and please call for further information. We recognise that some jobs require specialist work and we are able to offer bespoke high quality hardwood or softwood windows, doors and stairs. These units are made by hand to your exacting requirements whether it is from softwood or oak and accompanied with a full installation service. Natural stone is unique and you will be creating a look that can't be copied to give your kitchen or countertop that premium finish. 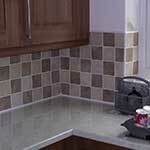 The granite we use is supplied from Italy, Brazil and some domestic. We pride ourselves on a wide selection of premium granites. We can arrange a complete wrap around service from initial consultation to templating, fabrication and installation. A wide range of samples and advice is available upon request.